Chester “Chet” Stiles, Jr., 86, Littleton, passed away, at home, on Friday November 16, 2018. He was born in St. Johnsbury, VT on September 15, 1932 to Chester and Alberta (Guyer) Stiles. He attended local schools and went on to serve his country first in the United State Marine Corp. from1949 to 1952 being honorably discharged as a sergeant, then NH National Guard until 1959. Chet married Teresa Glode on October 22, 1955. Chet lived his entire adult life in Littleton, NH. He worked for 41 years at Norton Pike, 10 years as a part time police officer for Littleton Police Department and for many years after retirement for NAPA Auto Parts in Littleton NH. 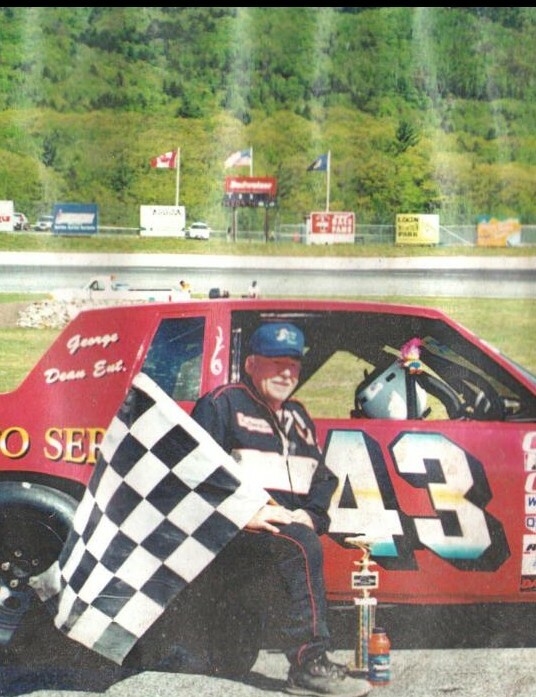 He was an avid racer at North Eastern Speedbowl in Waterford, VT, Rumney Raceway, Rumney, NH, Riverside Speedway, Groveton, NH, and White Mountain Motorsports Park, Woodstock, NH. He loved his NASCAR racing, New England Patriots, Boston Red Sox and Boston Celtics. In his younger years he loved fishing, riding his motorcycle and camping. Chet is predeceased by his parents and a sister, Ruth Erinburg, and a brother Wayne Stiles. He his survived by his wife of 63 years, Teresa Stiles, five children, Joel Mooney and her husband Mike, Littleton, Deborah Stiles, of Littleton, Teresa Trombley and her husband John, of Madbury, Edmond Stiles, of Oregon, and Anthony “Tony” Stiles and his wife Keri, of Whitefield, 12 grandchildren and nine great-grandchildren, a brother Glen Stiles, Lisbon, several nieces and nephews, and his beloved dog, Jake. Chet will interred with military honors at Glenwood Cemetery, West Main St. Littleton, NH on Saturday November 24, 2018 at 11AM with a gathering at the American Legion, 2400 St. Johnsbury, Rd. Littleton, NH to follow. In lieu of flowers those who wish can send donations to Riverside Animal Rescue, 236 Riverside Ave. Lunenburg, VT 05906.